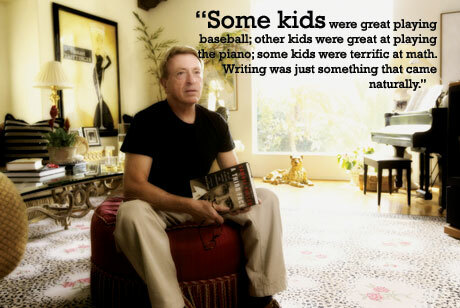 Confessions of a TV Addict #11: The Small Screen Adventures of Larry Cohen! … unfortunately, Jason McCord never did get to clear his name, as the show was sent scampering away by ratings juggernauts THE ED SULLIVAN SHOW and THE FBI. 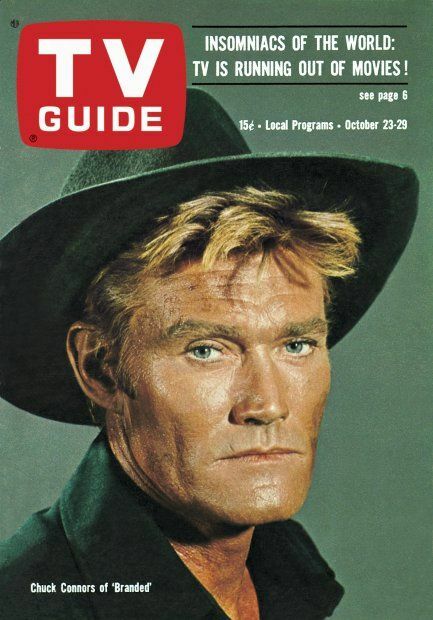 BRANDED can be viewed Saturday afternoons on the INSP Network’s Western lineup, and still holds up well today! BLUE LIGHT (ABC 1966) – Spies were the “in” thing, and this half-hour World War II drama cast deep-voiced singer Robert Goulet as David March, a traitorous American journalist now working for the Nazi propaganda machine – only he’s really a double agent working for the Allies undercover in a project called “Code: Blue Light”! All his fellow spies have been discovered and assassinated, and now March is pretty much on his own, trying to maintain his cover and do what he must without getting killed himself. French actress Christine Carere costarred as French underground agent Suzanne Duchard, under deep cover as a member of the Gestapo. and one of only a handful of people who know David’s true identity. 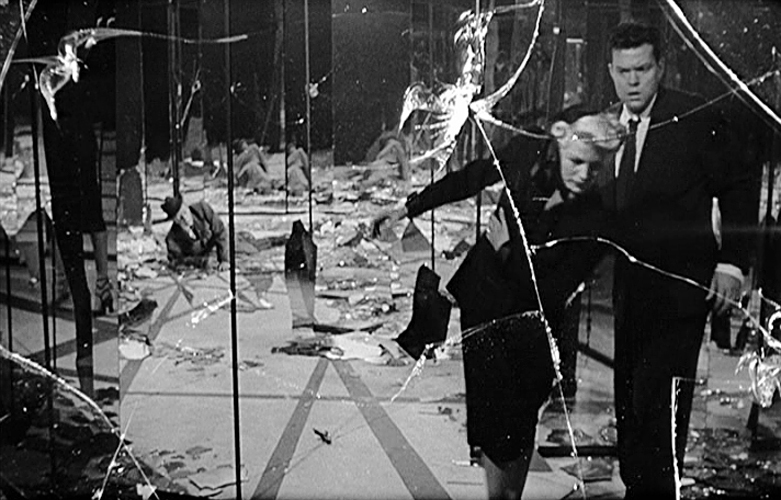 Larry co-created the series with film director Walter Grauman (LADY IN A CAGE), and BLUE LIGHT was noted for being one of TV’s most violent at the time (are you surprised, with Cohen and Grauman at the helm?). The show was a midseason replacement for Sally Field’s GIDGET, who moved into THE DONNA REED SHOW’s old time slot, and from what I can remember was pretty darn good, but didn’t catch on and lasted just 17 episodes. THE LEGEND OF CUSTER (ABC 1967) – Or “Counter-Culture Custer”, in this series “suggested by Larry Cohen”. Young Wayne Maunder, with his long golden locks, starred as young Lt. Col. Custer, in charge of a bunch of misfits and reprobates known as the 7th Cavalry. Custer’s methods were always at odds with his commanding officer General Terry (Robert F. Simon), representing the establishment. Western vet Slim Pickens was cast as scout California Joe to give the series some sagebrush cred, but after 17 episodes CUSTER was defeated, not by the Sioux at Little Big Horn, but by another establishment figure – James Drury’s ratings monster THE VIRGINIAN. As for Maunder, he survived to costar on the Western LANCER for two seasons, the short-lived Jack Webb/Stephen J. Cannell crime drama CHASE, and the Russ Meyer film THE SEVEN MINUTES. Maunder recently passed away on November 11 at age 82. CORONET BLUE (CBS 1967) – Cohen switched from ABC to CBS for this summer replacement series, which only lasted 13 episodes. 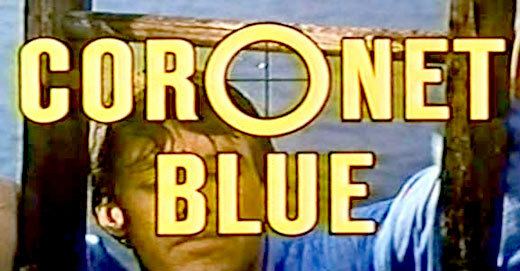 The pilot found Frank Converse as a man attacked, drugged, tossed in the river, and left for dead… but lives, and the only thing he remembers is the phrase “Coronet Blue”! The now-amnesiac man assumes the name ‘Michael Alden’ and wanders about seeking to uncover clues to his true identity while trying not to get killed by assassins. This was a good premise, one I really enjoyed, and apparently CBS did too, wanting to renew CORONET BLUE for another season. However, they waited too long, and star Converse had already accepted a part in ABC’s new crime drama NYPD, alongside Jack Warden and Robert Hooks (which as I recall was also pretty damn good!). Oh well, I guess we’ll never find out who ‘Alden’ really was, or who was out to kill him. 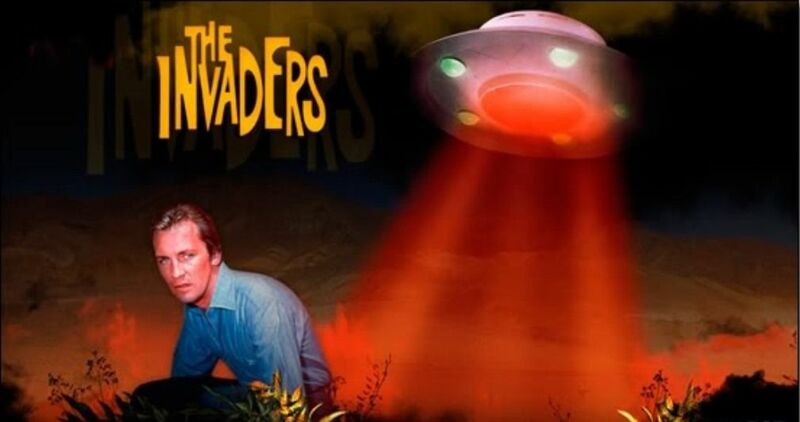 THE INVADERS (ABC 1967-69) – This was Larry Cohen at his best, a paranoia-filled science-fiction extravaganza, and one of my favorite shows of the era. 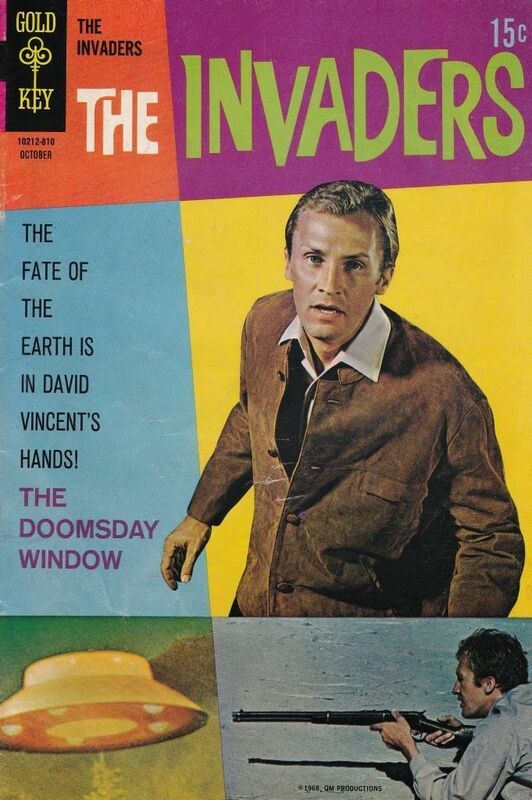 Aliens have infiltrated Earth bent on conquering the human race, and architect David Vincent (actor Roy Thinnes) runs around America trying to expose them (they can only be identified by their crooked pinky fingers and a tendency to turn red and disintegrate when killed! ), while warning everyone he comes across of impending doom! 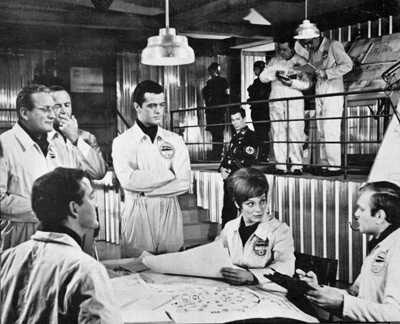 Yep, it’s another 60’s Cold War allegory, substituting spacemen for Commies, and it clicked with viewers young and old (my Dad loved it!) for different reasons. The kids dug the sci-fi stuff, and THE INVADERS proved a marketing cash cow, with comic books, paperback novels, and even an Aurora plastic model spaceship (just don’t sniff the glue, kiddies!). The series debuted as a midseason replacement for another show Cohen was associated with – THE FUGITIVE, which concluded it’s run when David Janssen finally caught up with that One-Armed Man (Larry had written a couple of early episodes). Larry Cohen soon moved to feature films, and his singular, somewhat loopy vision has kept fans like me happy for decades. But don’t discount his TV efforts, many of which are available on YouTube and DVD collections. Catch them when you can, they’re a blast!